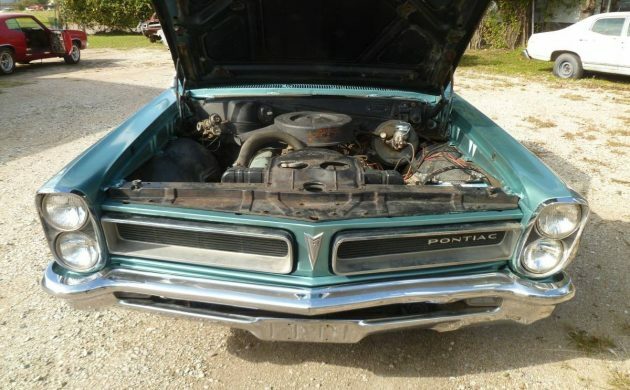 This Pontiac LeMans is a restoration project that appears to be close to completion. The new owner can choose to dive head-first into it, or they may choose to drive it and complete the work at their leisure. You will find it listed for sale here on Craigslist. It is located in Houston, Texas, and is being offered for sale with a clean title. The asking price for the Pontiac is $13,000. 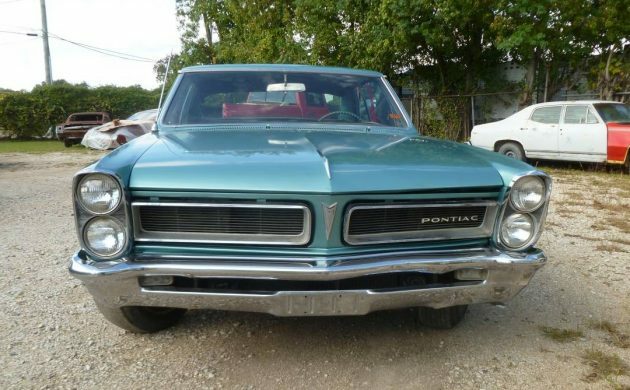 The Pontiac doesn’t wear its original paint. The previous owner completed a repaint. The car looks good, but the current owner says that it needs final buffing and polishing. Since the car currently doesn’t have carpet, it is possible to see the state of the floors, and they look close to perfect. The interior is going to require a complete re-trim. It is serviceable as it is, but a life spent in New Mexico has taken a toll on the interior trim. 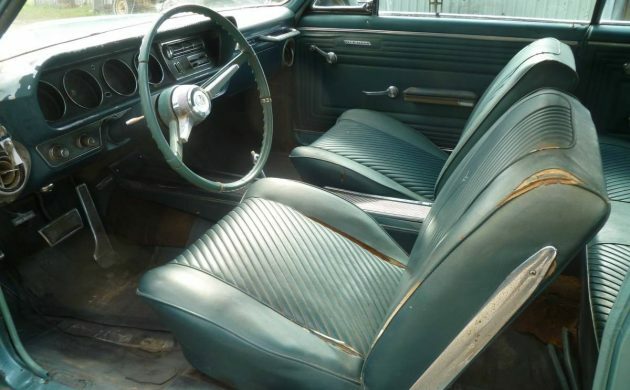 The floor console and dash look quite good, but you can bank on replacing the covers on all seats, as well as the headliner, door trims, and most plastic parts. Under the hood is a 326ci V8 backed by an automatic transmission. The seller states that the car runs and drives well, and all of the lights, turn signals, and horn work as they should. The car is fitted with power steering and power brakes, as well as air conditioning. The A/C doesn’t blow cold, so fixing that goes on the list. The owner also states that the car will need new tires. The owner of this LeMans floats the idea of the buyer turning the car into a GTO clone, and that certainly is a possibility. However, just how many clones are kicking around out there? Does the world really need another one? 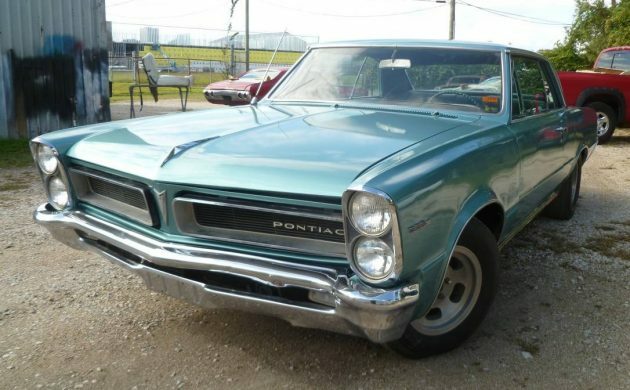 Personally, I’d finish the work that has been started, and just enjoy the car as a Pontiac LeMans. I agree. New interior, new tires, fix the a/c, clean the engine, and leave it as a LeMans. 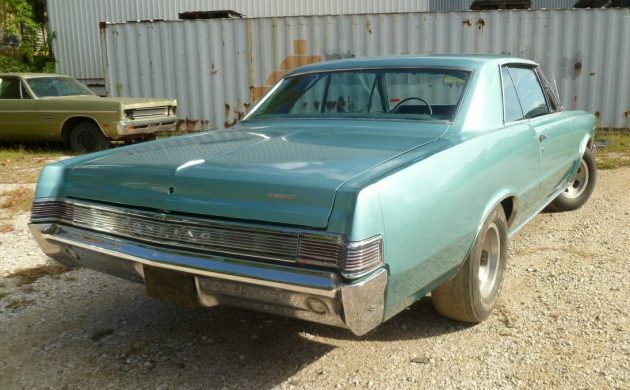 The world doesn’t need another GTO clone confusing the market. Return to stock height, (close to) stock wheels and tires. The 326 is a great engine. I like this car! Agreed, keep it a LeMans. Not to speak against anyone who has gone the tribute/clone route but to my way of thinking each of them that has done so has made this LeMans just a little bit more special. I second that motion.LEAVE it as a LeMans this baby is sweet just like it is. Clean machine, just a good solid LeMans. Those rims give it image in spades, no need to fake a GTO here. I’ve had 3 GTOs and 1 GTO clone and yes leave it a Lemans. Finish it as you drive it. But with buffing and polishing paint, tires, interior I wouldn’t pay over 10K. Yes, Adam, leave it alone. Do what it needs and enjoy. Not to often when there is total agreement on Barn Finds and yes leave as it came from the factory. I was about 11 years old then loved that car. 326 3 speed was a cool cruiser for sure. I was the proud owner of a 65 Tempest 326 Auto and it was one fine machine I have many times regretted ever getting rid of it, but the 67 Mustang Fastback came out and that was the end of my Pontiac career until 1979 when I went back to Pontiac but a Grand-Prix this time with a V6 Auto that we kept for 19 years. Way overpriced for a Lemans needing straight bumpers,interior,engine compartment detailing,replacing missing a/c components,new tires and wheels,and whatever else maintenance to make it a dependable driver.